In this era of high-octane connectivity it is easier and easier to find commodities, services and people. That can translate into efficiency if you add a very important ingredient: partnerships. Indeed, finding a product is good. Finding a product that meets quality and price targets is better. Finding a supplier that will deliver the goods as described and remediate any gaps quickly is another step. Finding a partner that will help you resolve after sale issues, that will autonomously help you by word of mouth, that will trust you with credit as your track record deserves it, that will evolve their product and services to surpass your current standards and improve the value stream to your customers…. That my friends is the Goal. Commitment to creating and fostering lasting Partnerships. Whether you like or not, businesses are systems producing a service or product that is then delivered to market. The higher the volume or more complex the output, the more resources are required. Resources (people, money and raw material) can be generated internally, typically by greater effort and time. Leveraging partners enables aggregating focused teams to participate in your objective. The better the partners are at what they do and how you execute together, the faster and the more efficiently you will achieve higher level goals. It has been said many times that the helicopter industry is fragmented with many small to medium size organizations competing on contracts. Indeed, smaller companies swim with larger ones that may have more internal resources but may in turn lose nimbleness by size. In both situations, small and larger organizations may benefit by developing strong partnerships is focus areas. This allows smaller companies to benefit from services typically reserved to larger ones. 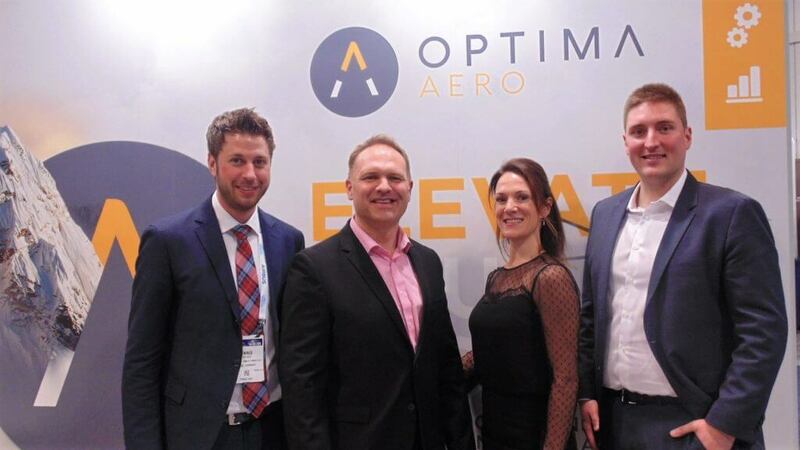 One example of a specialized service is Optima Aero’s MRO Event Management: Our former OEM engineers assist customers technically and commercially with PT6T, PT6C, PT6B and PW200 engine overhauls. This technical and commercial review process generates high cost savings and improved awareness of helicopter maintenance practices and product reliability. Such a partnership approach would also help large organizations to benefit from a niche expertise either in collaboration with the internal team or by outsourcing entirely the service. This is especially true when a service is offered free of charge. At Optima Aero we generate our revenue and margins by saving customers money as we sell highly discounted serviceable helicopter parts from our own inventory. Obviously, other service and product companies have also developed value added processes that they have been fine-tuning over years and can “plug-in” to your business system to help scale and improve yours. The key point here is that business improvement and growth is greatly catalyzed by Partnerships. Partnerships bring value, are dependable, help you scale and improve in intangible ways. Time to take the test: Who are your current Partners? Are they delivering all the benefits you would expect? Can you identify more that would add to your operations or business? Toby Gauld, President, Optima Aero inc.